The VVPAT Ruling: Worth Celebrating? In a recent ruling, the Supreme Court (SC), in the case of Subramanian Swamy vs Election Commission of India (ECI), has held that VVPAT (Vote Verifiable Paper Audit Trial) is “indispensable for free and fair elections”. In accordance to that, the Supreme Court has directed the ECI to equip Electronic Voting Machines (EVMs) with VVPAT systems to “ensure accuracy of the VVPAT system”. This ruling is being hailed as another landmark judgment by the Supreme Court in the wake of the upcoming General Elections of 2014. The Court directed the government to provide the key financial assistance to the ECI to cause VVPAT systems to be deployed along with EVMs. Reiterating the stand of the Delhi High Court in an earlier judgement, the Apex Court maintained that costs and finances cannot and should not be a deterrent to the conduct of free and fair elections. This ruling is obviously a victory for accountable voting in India, but it leaves a few questions unanswered. The provision of VVPAT assumes a broader significance in the light of the words used in the ruling that held that paper trail is “indispensable for free and fair elections.” Current EVMs don’t have the provision of attaching a printer directly to the systems. It would require modification by way of an additional device to interface the printer with the ballot unit for the 1.3 million EVMs currently in use. This being quite a big task, will the ECI permit the use of the old EVM machinery (sans the printer and the VVPAT system) in some constituencies during the upcoming state polls (including Delhi) and the general elections? That will technically result in those elections not being “free and fair”. There are a few strategic problems attached to the effective use of VVPAT. Many pilot projects abroad have shown that people don’t even look into the paper trial after voting. An unofficial report of a trial in Nagaland notes that the paper stays for around 5-7 seconds after voting and the voters might not even have a look at it. This has a negative consequence in two forms. Firstly it defeats the purpose of the entire system of VVPAT as the voter does not even verify who his/her vote went to. Report of a VVPAT test in Georgia notes, only 79.1% reviewed their paper trial. If a wrong choice is shown, an individual has only a few seconds to verify before going through a tedious process of reporting it to the returning officer and getting it corrected. This is where voter education and mock polls become of paramount importance. Now that the NOTA judgment has been passed, the question is, can every voter be accustomed to the new voting process by the time elections happen in mid-2014? Secondly, as a report of a VVPAT try-out in Tennessee shows, the paper trial system may lead to longer lines due to longer duration of voting. This might lead to voting hours being extended beyond evening, an eventuality that is fraught with serious problems and issues as far as election rigging is concerned, in many parts of rural India. Secondly, there are a few logistical issues that need to be looked into. Most important among them is that of voter secrecy. Post NOTA judgment, voter secrecy has become a matter of paramount importance. In places where paper trial system is deployed, in case of a paper jam in the printing systems or a faulty recording of the slip, the provision is that the voter has to inform the returning officer about the same, who will check the system for any kind of discrepancies. This in turn, has the risk of comprising voter secrecy. Moreover, the given provisions also say that any of the candidates may ask for a recount. The recount will now be done by counting the VVPATs. This will pose the same problems that the old ballot system posed. The chances of asking for a recount is quite high and the process will be time consuming and cumbersome. 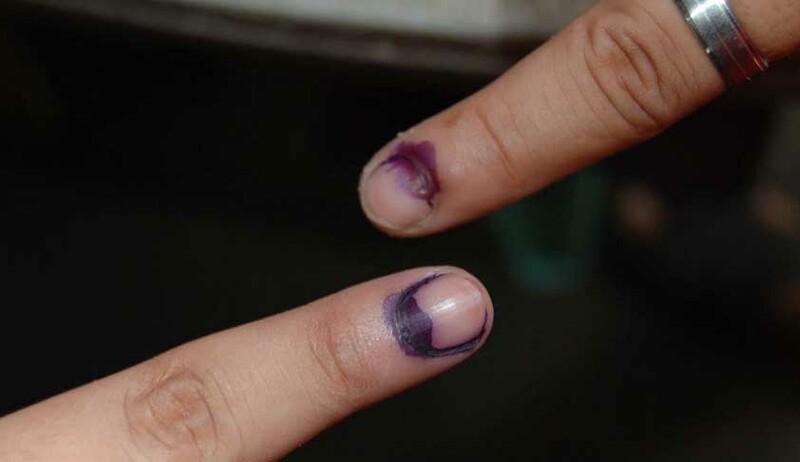 During the entire process, there is a great chance, as the Delhi High Court has noted, that look-alike slips can be inserted in the ballot box. Even this has not been addressed by the Apex Court. Interesting to note are the various technical difficulties of such a system, especially in a country like India. 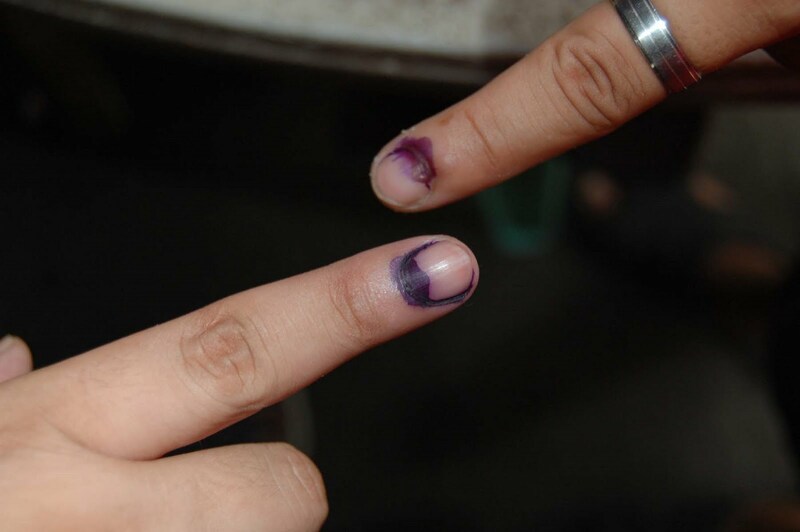 The current system wherever VVPAT is used is such that the printer prints the paper trial behind a glass box, which can be seen by the voters, before the slip falls into ballot box. Printers being mechanical devices (whereas EVMs are electronic) and mechanical failures being matters of commonplace occurrence, there is a high likelihood of numerous instances of paper jamming, paper loading problems, alignment etc. Printers will require special power back up, which many polling stations in rural areas are not equipped with. Even printers with battery backup may require regular charging and therefore need power outlets, which is again something that is not available in each and every constituency of the country. EVMs, on the other hand, run on special battery backup with very long life. Secondly, handling of printers needs expertise and trained personnel. Installing paper rolls, replacing jammed papers, replacement of ribbons, etc. requires technical expertise. The question of requirement of a technically competent manpower in large numbers has not been addressed. Moreover, something that should be seriously taken into account is that the use of VVPAT cannot be availed of, by visually impaired or blind voters. Essentially, for them, the system will not be “free and fair”. The ECI should look into this aspect and come up with some solution, audio or otherwise, which will ensure that the visually impaired voters exercise the same right as others. All these pertinent issues, some of them raised by the Delhi High Court, have not been addressed by the Supreme Court, in a judgment of uncharacteristic brevity. Although the authors are confident that the ECI will handle some of the technical issues, some of the key issues ought to have been addressed by the Supreme Court. Propriety demands that the Apex Court should have addressed reasons given by the Delhi High Court in rejecting Mr. Swamy’s petition. With regard to election law, judicial activism has blossomed this year, with this judgment being the latest in a line of landmark rulings by the Apex Court in an effort to cleanse politics. While the intentions may be noble, the means to achieve the end are equally important and must be carefully dealt with. Only the upcoming state polls and the general elections will reveal the true impact of these judgments. Vasujith Ram and Samyak Sibasish are 2nd year students of The WB National University of Juridical Sciences, Kolkata.